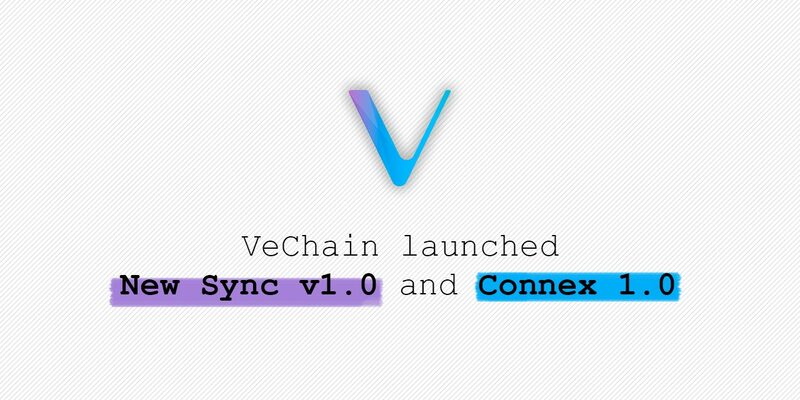 VeChain Foundation, the blockchain assistant or ecosystem for Ethereum and provider of other services, has launched its latest feature, the New Sync v1.0 and the Connex 1.0 this Friday. This latest addition to its service follows their VeChainThor mainnet. So what’s changed? And, why should we be excited about it? In some interesting news for developers, the New Sync serves as the infrastructure to provide an unlimited potential to developers and their users with the apps that can be accessed in the New Sync, with the promises of some exciting new projects in the future that will be accessible when the new apps are created. Developers are also encouraged to think and create their own apps for the new sync. So, how does VeChain connect these wonderful New Sync features to you? Although it is not the perfect recipe yet, with the web3.js still available to use, VeChain does insist that you should try Connex and leave some comments and suggestions. Well, it seems VeChain has taken a big step in the right direction with these new features. The New Sync seems to have made life a lot easier and accessible for users. For developers, this advancement must be great, as it not only makes their processes easier but it also gives them the freedom to create their own tools for success and a “google play/I-tunes” for developers everywhere. So VeChain users, go ahead and download the new application and let us know what you guys think!